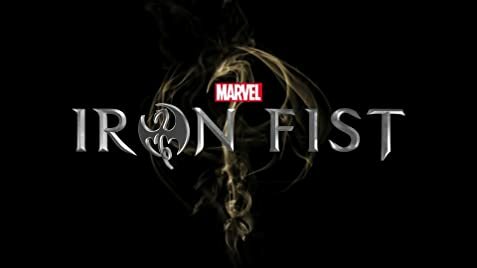 Before +Netflix US & Canada even released the latest in their Marvel binge library, Iron Fist folks were on the fence or flat out bashing the show. It is best to watch and form your own opinion on anything but after watch the first four episodes, it's a bit understandable why folks aren't exactly happy with it. The biggest thing we can comment on that stands out to us is, Iron Fist aka Danny Rand gets beat up a little too much. For the best martial artist, or at least one of the best on Marvel's roster. He gets beat up by regular people way too much. Never mind other martial artists that are not super powered people. He gets handled by regular old orderlies in a hospital. But, he's able to get past a corporate security team in the first episode and later a hallway filled with axe-wielding triads. Secondly, this is supposed be a show about Iron Fist. So why are they blowing up Colleen Wing so much? Four episodes in and you may see her do more martial arts than the title character. A lot of focus is on her for a show that is the first season of a new character to Netflix's Marvel library. If the show was called "Colleen Wing and Iron Fist", maybe it wouldn't be so noticeable. Yes, she does work with the "Heroes for Hire" crew in the books, but that has yet to be built up on Netflix. Lastly, Danny Rand is not written very intelligently. By that, we mean he comes off a little slow. Even when he finally gets somewhat acclimated to the world he has been away from for 15 years, he does not seem to grasp the concept of how easily answers are found by technology. For example, he orders take out from the only place his dad ordered from...15 years ago. This is when he not only has access to smartphones and computers that a homeless person showed him how to use, but he's in New York. You can grab take out from half the places you walk by in New York. That being said, this show is still part of a pretty awesome universe for Marvel. While it is connected to the films and their PG ratings, the Netflix shows take it up a notch for the grown ups. It adds to whatever endgame they have for the Netflix Marvel universe so it deserves at least one binge so you are not left out.